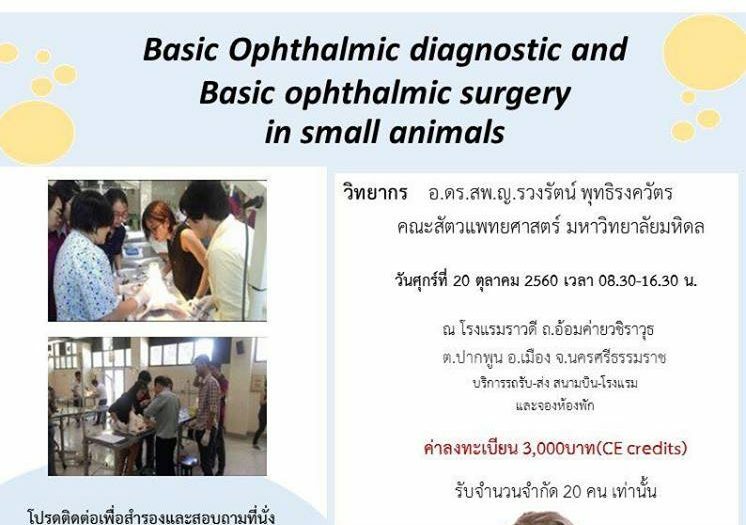 Home > Advertisement > “Basic ophthalmic diagnosis and basic ophthalmic surgery in small animals” by Dr. Ruangrat Buddhirongawatr (D.V.M., Ph.D), Faculty of Veterinary Science, Mahidol University on 19 October 2017 at Ravadee hotel, Nakhornsithammarat province. “Basic ophthalmic diagnosis and basic ophthalmic surgery in small animals” by Dr. Ruangrat Buddhirongawatr (D.V.M., Ph.D), Faculty of Veterinary Science, Mahidol University on 19 October 2017 at Ravadee hotel, Nakhornsithammarat province. “Basic ophthalmic diagnosis and basic ophthalmic surgery in small animals” by Dr. Ruangrat Buddhirongawatr (D.V.M., Ph.D), Faculty of Veterinary Science, Mahidol University on 19 October 2017 at Ravadee hotel, Nakhornsithammarat province. 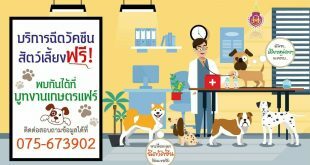 This course was suitable for small animal practitioner and obtained only 20 persons, registration fee 3,000 THB including CE credit of Thai Veterinary Council. Next Acting for Dean of Akkhraratchakumari Veterinary College , Walailak University attended the Workshop on ASEAN Veterinary Statutory Body Network’s Strategic Plans.